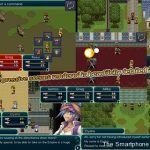 We have been lucky enough to review many of the recent Kemco RPG releases on iPhone, and have been really impressed with them. Fantasy Chronicle was a super traditional RPG, but still a good, solid game, while Eve of the Genesis was even better, and was a game that we really enjoyed playing through here. 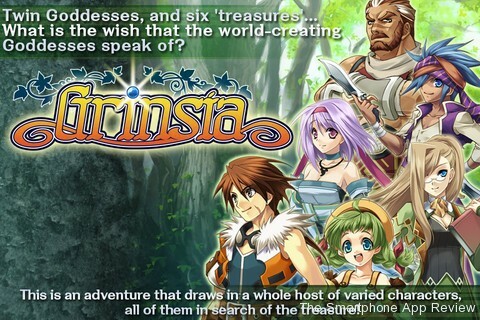 So, here we have Grinsia, another RPG from Kemco. It may not be quite as good as Eve of the Genesis, but it is stronger than Fantasy Chronicle, and sits some where between the two games in terms of overall quality, which essentially means it comes highly recommended, like many Kemco RPG games. 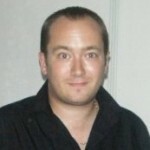 The game is a pleasing adventure across the land in search of treasure. As is the way with adventures, it doesn’t turn out to be that simple, and a long quest is undertaken. The game uses a standard system of upgrades, but has a really enjoyable battle system that is fast paced and fun. You can have up to 4 characters on your side in the random battles, and when it is your turn, you select the actions for each person by a cool ‘wheel’ interface. Using this it is possible to set in motion all the events for the next round within seconds, so you can get two of your characters to use physical attacks on an enemy, another to perform an attacking magic spell, and another to use a ‘cure’ spell for an expected attack. The great thing about this is the ability to set which character is at the forefront of the battle, and is likely to take hits, which means that you can have a ‘tank’ character to soak up damage for the rest of the team. The battles are good fun, and super fast, so you really have to plan and be able to react to changing situations within each fight. It is the best part of the game. There are many towns and cities to explore, with plenty of people to talk to and trade with, and the overworld map is interesting and diverse. The random battles don’t appear too often to confuse you, and there are a lot of areas to explore. 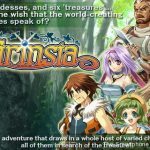 Grinsia will take most players around 15 hours to complete, which is a decent length, and probably just right for a mobile RPG. The controls are well done, and although they have plenty of options, it is best to stick with the default set up, which allows you to simply touch the area that you want your team to travel to. A really nice touch is that your team actually all follow behind you in a row as you move around the overworld, dungeons and towns, unlike the majority of RPG’s where they all disappear into one character. I really liked this, and hope to see it in more games. 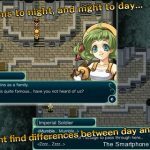 The graphics are good, and run smoothly(after a recent update), and are at the same level as those in other Kemco games, although I found the enemies in Eve of the Genesis to be more interesting and unique. There is full Game Center and OpenFient integration, which really adds a lot of extra gametime, especially as some of the achievements are time based, meaning many run through’s against the clock. I would say that, for the dedicated, there is easily 20 hours of total content here, which does justify the asking price. The only let down for me was the story, which I didn’t find to be as interesting or as absorbing as Eve of the Genesis. 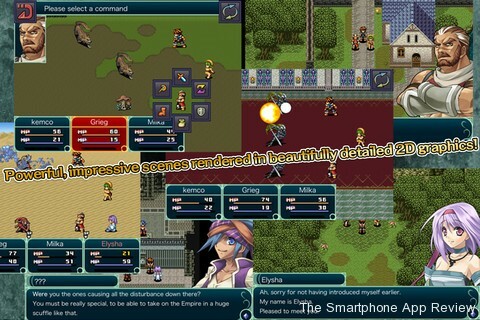 Overall, this is a great RPG game, and its battle system really shines through. A good sized quest will keep you going, as will the well implemented achievements. Highly recommended. 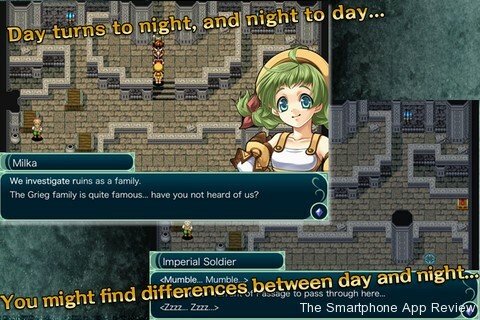 Check out our reviews of Eve of the Genesis, Fantasy Chronicle and Final Fantasy Tactics!